Disney Infinity, the new video game platform that uses NFC figures, is being marketed in France via 5,000 NFC-enabled out-of-home posters operated by media owner Insert. 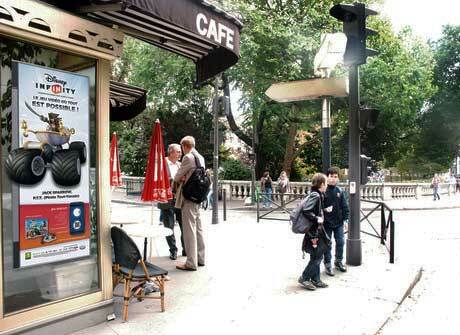 The posters are located across 21 French towns and cities and enable NFC phone users to download an app that gives them directions to their nearest Disney store and a coupon that can be redeemed at Disney stores in Paris, Grenoble, Marseille and Lyon, as well as Disney Movie Rewards loyalty points and videos of the game in action. The campaign is running from 16 to 29 September and includes 100 posters located near primary schools and large format window stickers installed in three bars in Paris.